Both Infinix Smart 2 and Tecno Spark 2 are budget friendly 2018 smartphones so for those that are feeling confused on which one to buy, this post presents you with a concise comparison of Infinix Smart 2 vs Tecno Spark 2 Android devices. 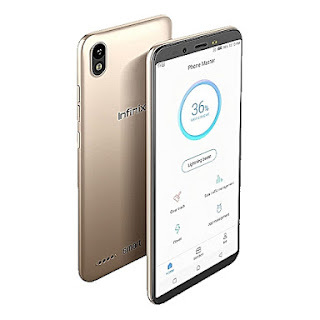 After reading this post, you will be able to spot the difference between Infinix Smart 2 and Tecno Spark 2; you will know the specs that makes up these devices as well as the prices of the phones. Without wasting much of your time, let's go straight to the point. Though both phones are tagged "budget-friendly", they still have few premium features found on high-end smartphones. One of the outstanding features available on both smart 2 and spark 2 is the Face unlock feature. Tecno Spark 2 also has a fingerprint scanner embedded at the back while Infinix Smart 2 doesn't have but the Smart 2 Pro has it. Both Infinix and Tecno phones features a single camera at the back with LED flash light. 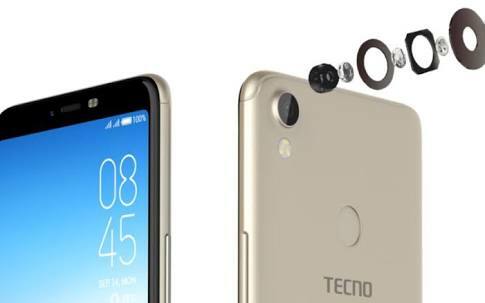 Meanwhile, The Tecno Spark 2 is much slimmer, measuring 7.5 mm in thickness. Both smartphones features the trendy 18:9 aspect ratio full view display but Tecno Spark 2 has a 6.0 inch IPS LCD touchscreen with 75% screen-to-body ratio whereas the Infinix Smart 2 features a smaller touchscreen, measuring 5.5 inches with a 79% screen-to-body ratio. The display resolution on both phones is a 720 x 1440 pixels. Pixels per inch density on the Tecno Spark 2 is 268. While the Infinix Smart 2 has a 282 pixels per inch density. Both Infinix Smart 2 and Tecno Spark 2 uses same camera configurations and features. The back camera of both smartphones is equipped with a 13MP sensor. The Infinix Smart 2’s rear camera features a dual-LED flash. While the rear camera of the Spark 2 features a LED flash. Up front, we get an 8MP selfie shooter on both devices. The selfie shooter is used for the face unlock system. There is MediaTek MT6580WP chipset, Quad-core processor clocked at 1.4GHz and ARM Mali-400 MP2 graphics processing unit in Tecno Spark 2 Smartphone while on Infinix Smart 2, there is MediaTek MT6739 chips, a Quad-core processor clocked at 1.5GHz and PowerVR GE8100 graphics processing unit. Also, Tecno Spark 2 runs on the Android Go edition of Android 8.1 Oreo with HiOS 3.3 skin on top. The memory option here is a 1GB with 16GB internal storage. While the Infinix Smart 2 has two memory version; 1GB and 2GB. The 1GB memory version runs on Go edition of Android 8.1 Oreo just like the Spark 2. While the 2GB memory runs on Android 8.1 Oreo with XOS 3.3 hummingbird. Both phones uses non-removable battery; Spark 2 uses Li-lon 3500 mAh battery while Smart 2 uses Li-lon 3050 mAh battery. Unfortunately there’s no fast battery charging support on both Spark 2 and Smart 2. In terms of cost, Infinix Smart 2 is priced at $99 (NGN 35,000) while the price of Tecno Spark 2 is about $98 (NGN 34,000). Note that these prices may slightly change with time and the location you are purchasing it from. Which of these phones do you consider to be the best?